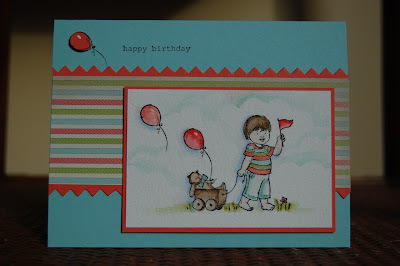 Stamping Sweet Spot: Happy Birthday! February is a big birthday month at our house! All together, with immediate and extended family and friends, we celebrate five birthdays, including mine at the end of the month. I'm a little excited this year since I'm a Leap Year baby and I will be celebrating my "Sweet Sixteen!" And today's card celebrates birthdays! After two weeks off, it's good to be back with my team working on a DIVA sketch challenge card. This week's sketch, DSC176, was a dream to work with! Thanks, Tammy! 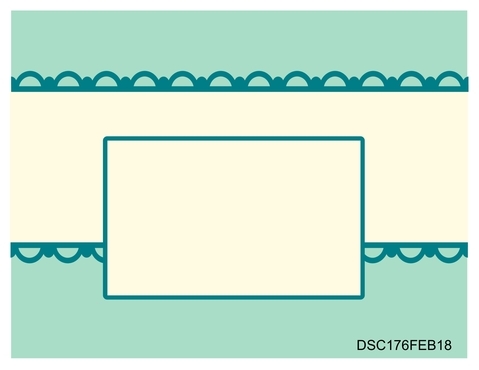 It should be obvious that I based my color combination on the fabulous SAB paper, Everyday Enchantment. I'll sure be sad to see this retire at the end of March! Get it while you can! It is actually free with a $50 order while Sale-A-Bration is on. To watercolor the image, I pulled out all of the markers that coordinate with the DSP: Lucky Limeade, Pool Party, Peach Parfait, Calypso Coral, Poppy Parade, and Soft Suede. I used them to color and shade and then I used my aquapainter to blend the colors. I popped up the top balloon and highlighted them all with a gel pen. Wow! Your watercoloring is amazing! I love the colors on your card! Have a great weekend in PA!! Ah...Sweet Sixteen! Congratulations on your upcoming birthday. Not many people can say that they are just now turning 16...LOL! This is so precious!!! I love everything about it!! Happy birthday next week!!!!! !